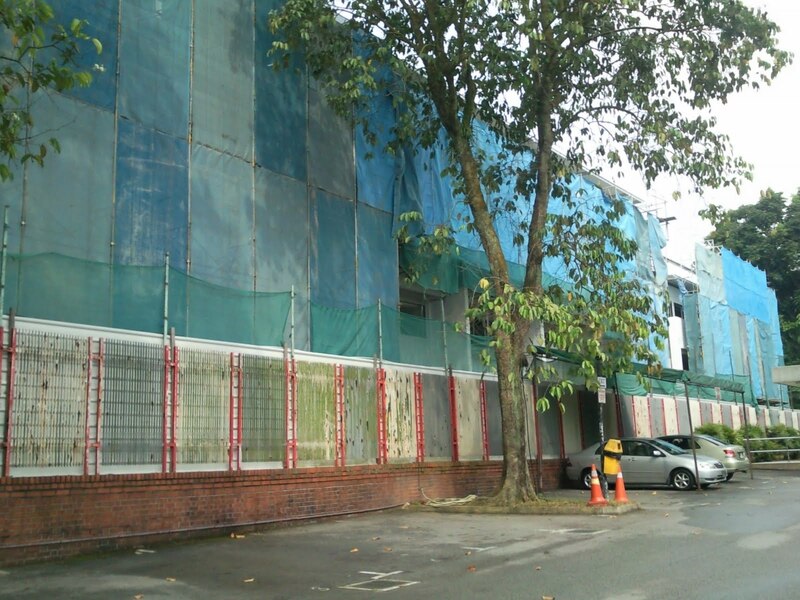 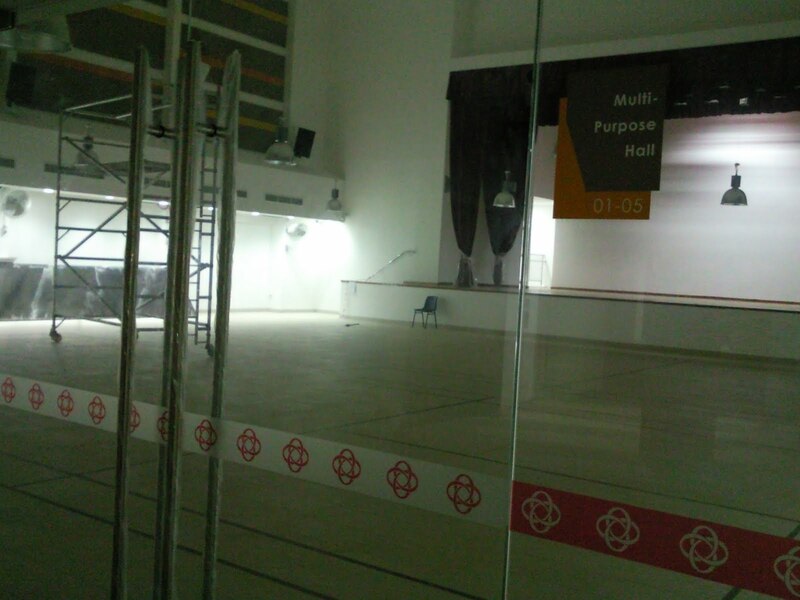 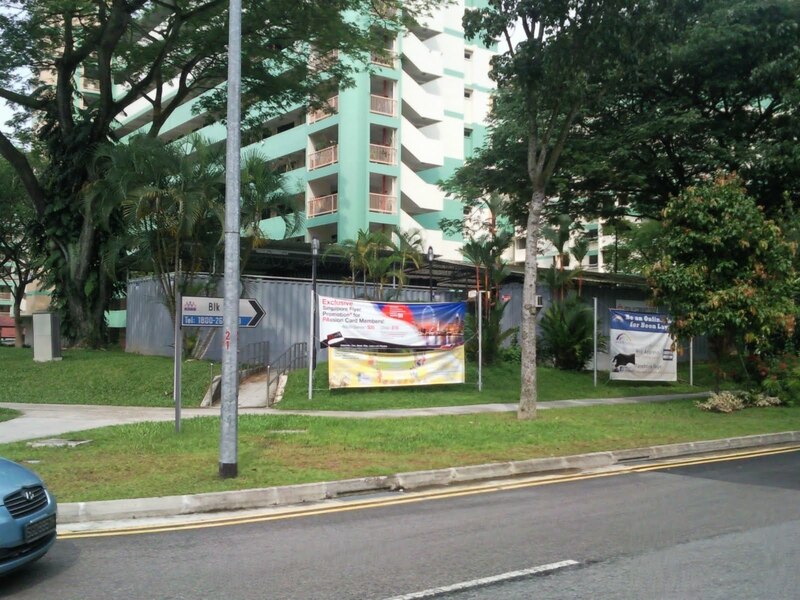 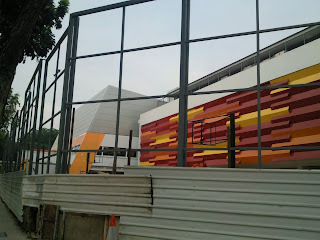 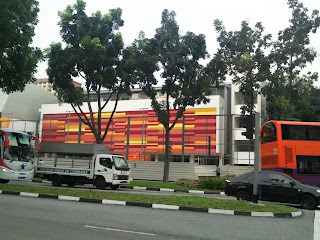 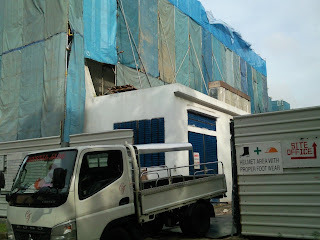 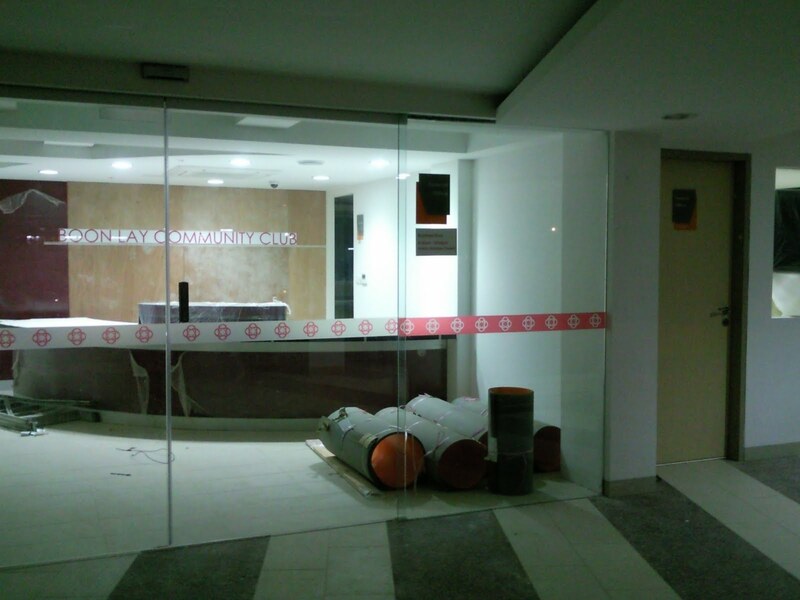 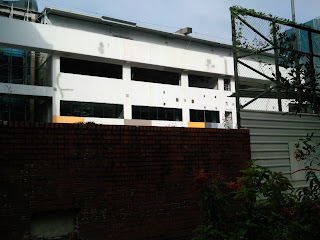 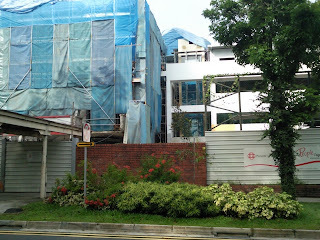 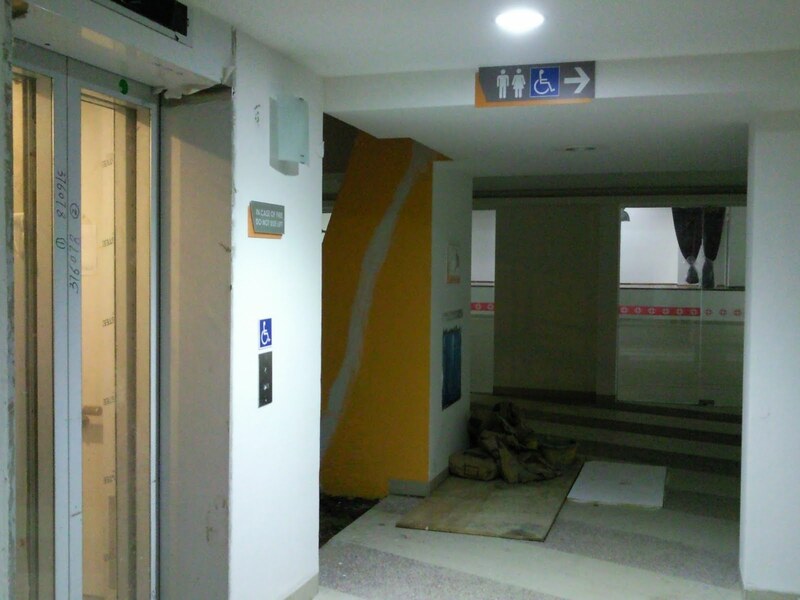 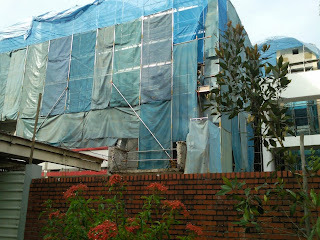 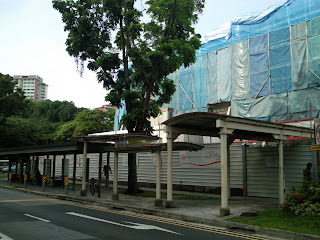 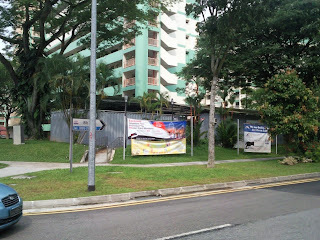 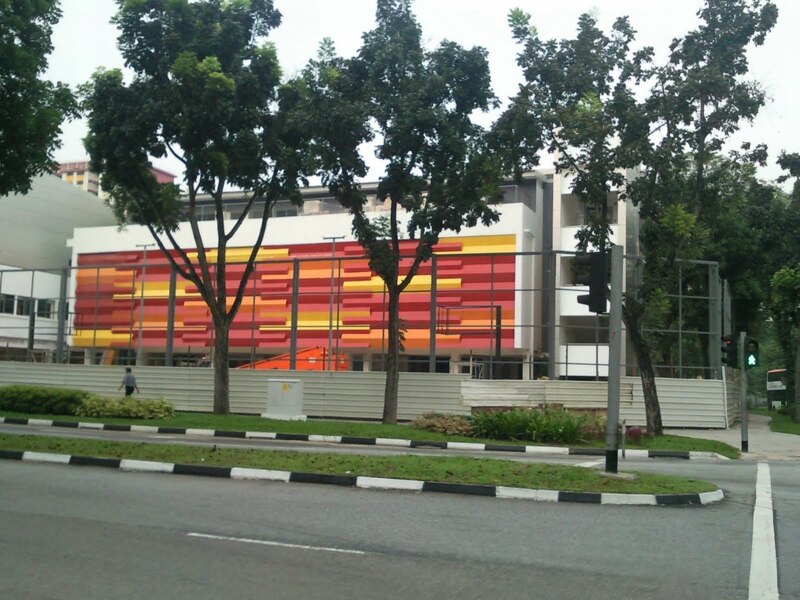 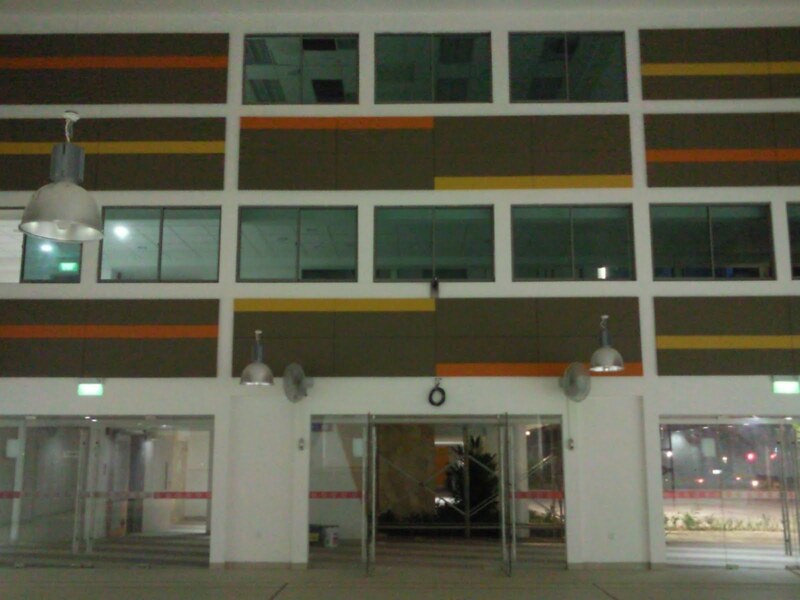 Boon Lay Community Club seems to be ready anytime soon. 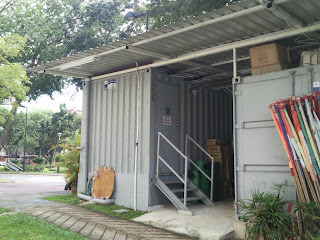 Comes with retail outlets, roof garden and cafe, not forgeting an elevator for the tired legs. 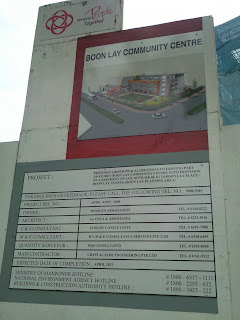 directory of Boon Lay CC... notice: 1st floor is a Restrauant, wonder what's cooking? 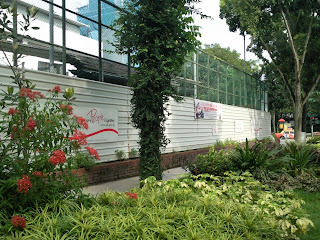 game of basketball with greenery everywhere. 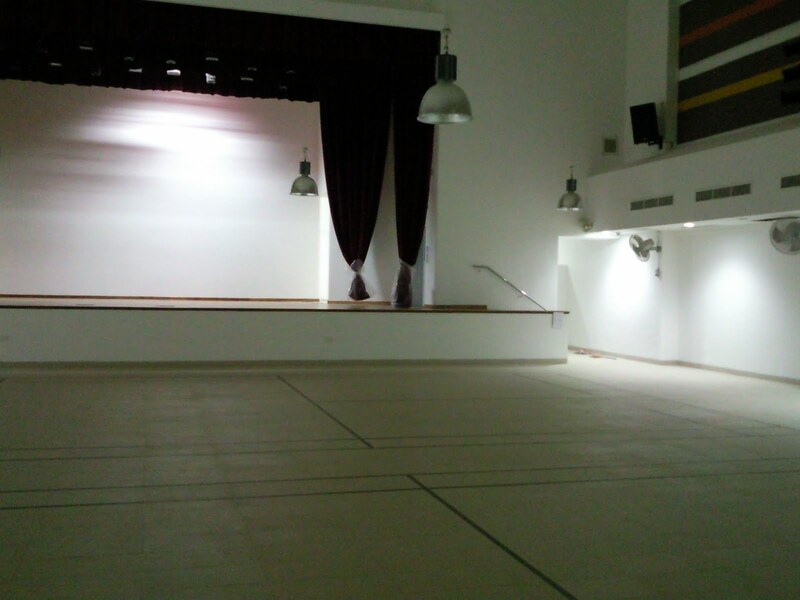 holding a wedding reception here, anyone? 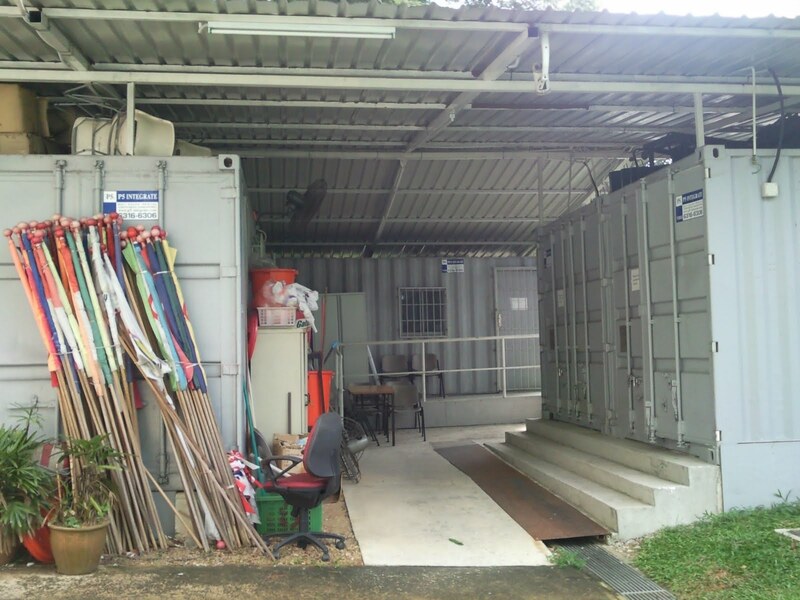 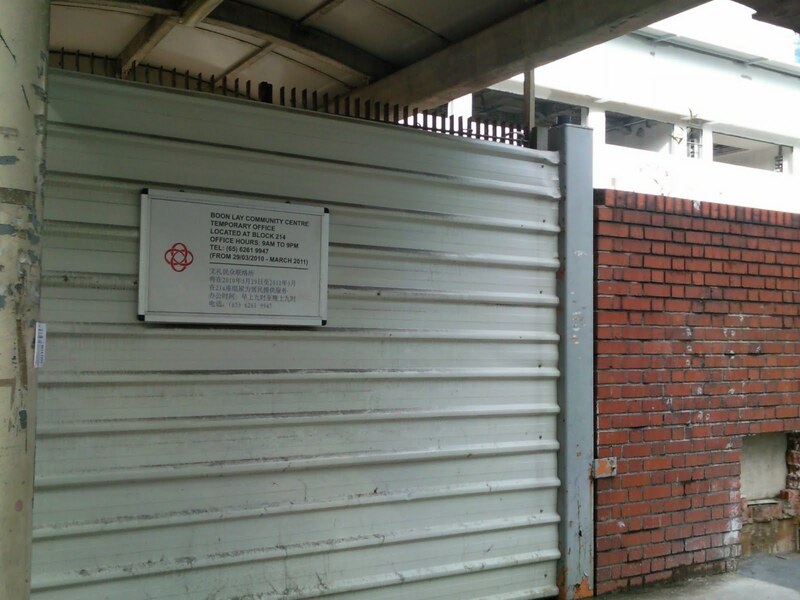 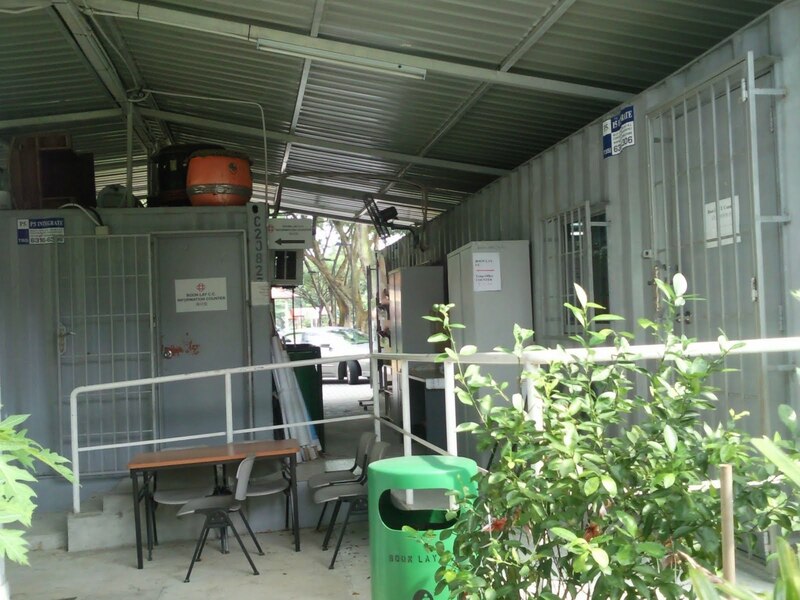 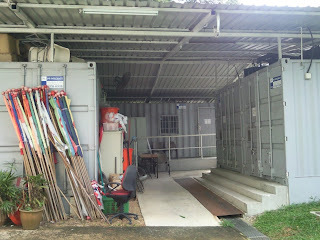 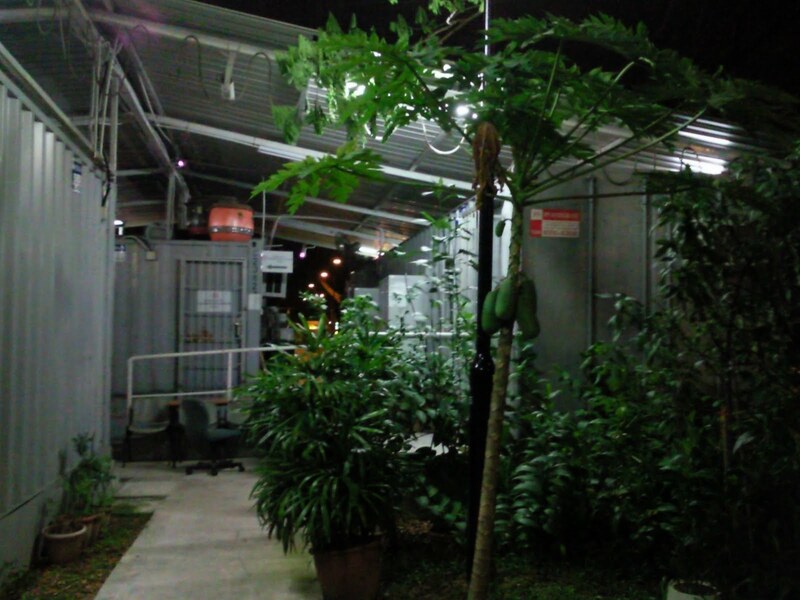 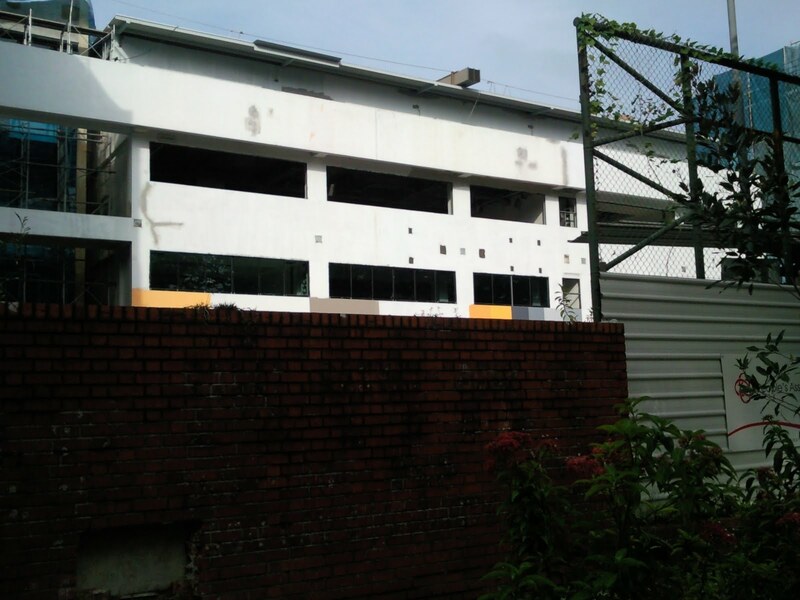 temp cc housed in a metal container for one year, "xin gu le"
"Our cherished dream of a community club to cater to the needs of all Boon Lay residents has indeed come true. 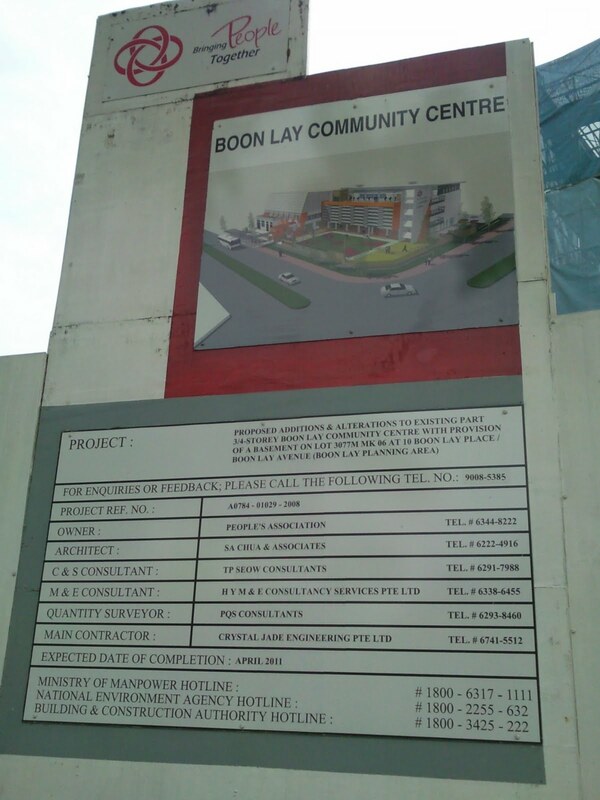 The new cc will have amenities that will cater to the different needs of the different age groups in Boon Lay. 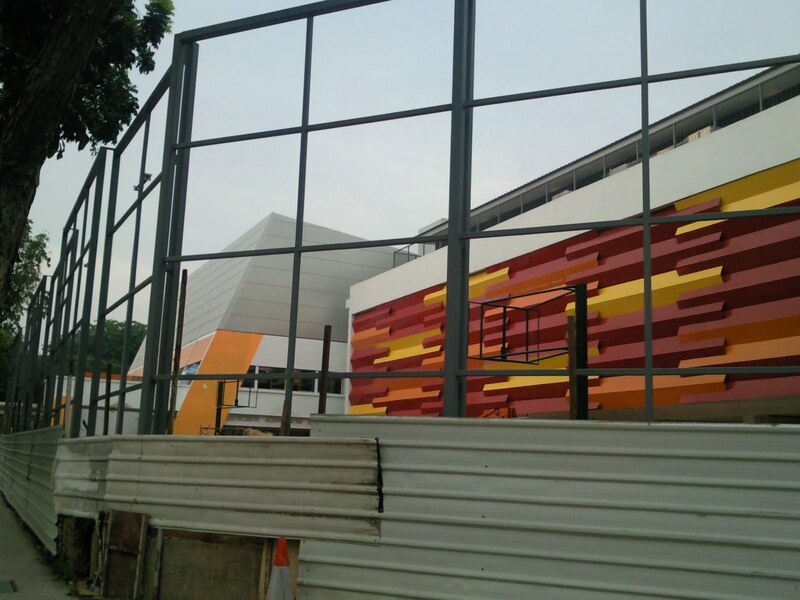 There will be a gym, a childcare centre, a latch key centre, a kitchen, retail outlet and auditorium as well as outdoor facilities. 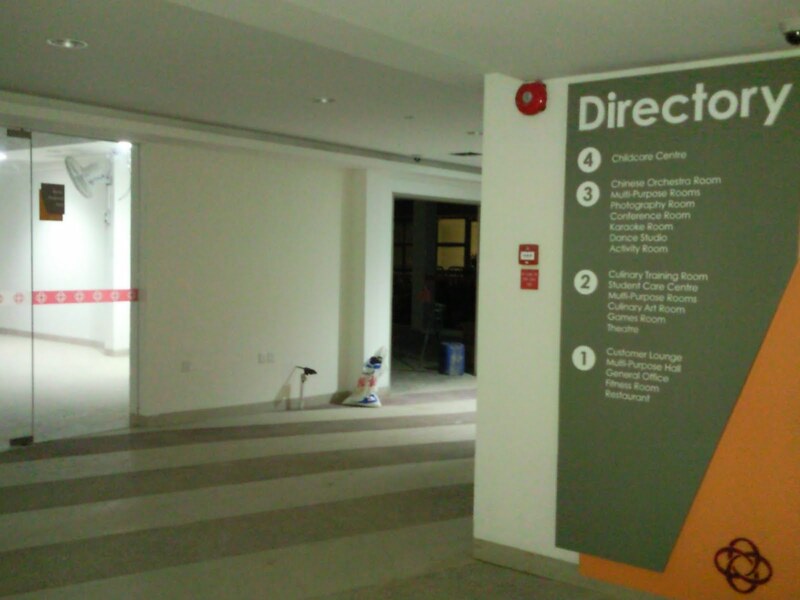 We are all very excited about this new CC. It may not have state-of-the-art architecture or facilities, but what is important is that it captures the very essence of the hearts of the Boon Lay residents. 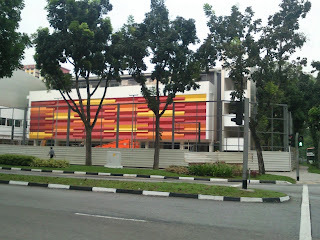 If I have a choice, I will call it - ONE @ Boon Lay. 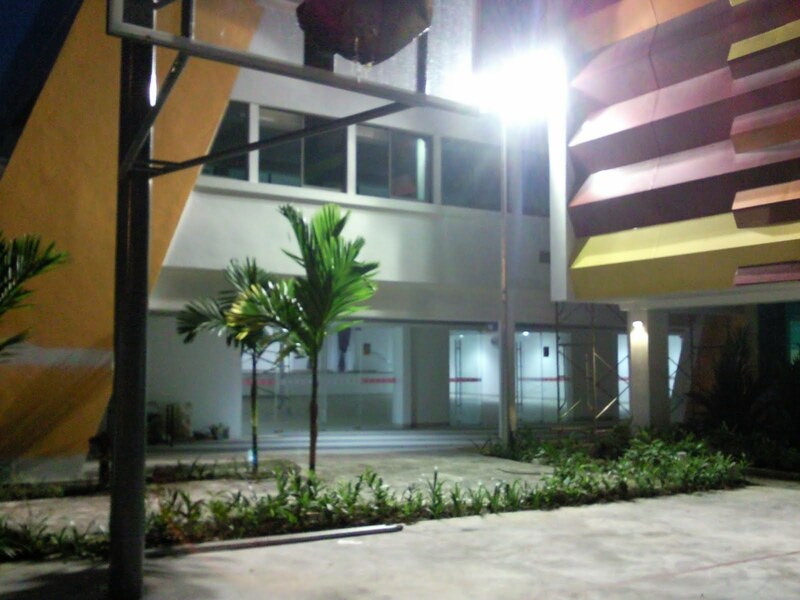 This new cc would not have been possible if not for the tireless efforts of supporters and key grassroots leaders who helped to raise 2.68 million dollars towards the upgrading. I want to acknowledge with my heart the effort of Mr Tan Fuh Gih who chaired the fund raising project, Mr Ng Soh Kim, Mr Kuek Chiew Peng and supporters like Dr Devindran, Mr Lionel Lee and the Lee Foundation.